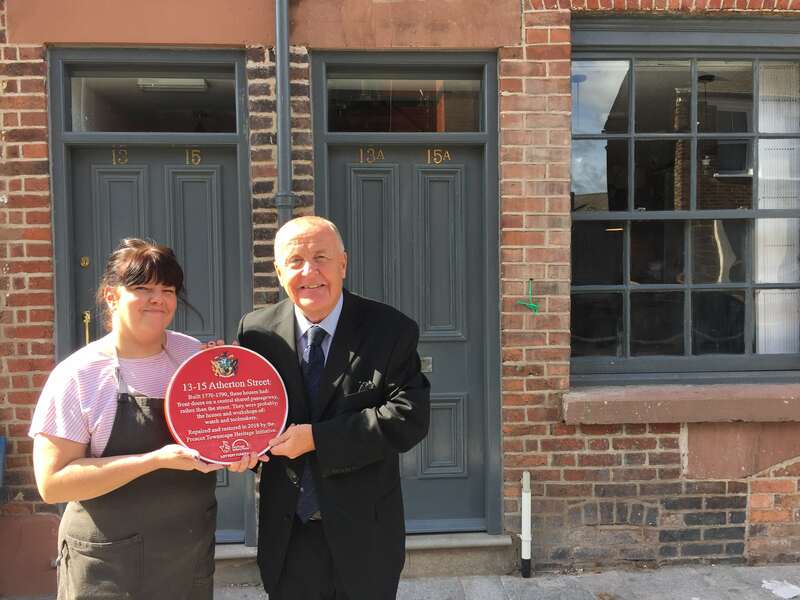 A dozen striking red plaques have appeared on buildings throughout Prescot town centre, creating a heritage trail that reveals the diverse architectural history of the town. The 12 plaques were commissioned by the Prescot Townscape Heritage Initiative and showcase buildings and landmarks of historical significance within the town. They include a plaque on Stone Street, the second narrowest street in the country, measuring at just 28 inches wide. Another plaque marks the site of the original Prescot Playhouse, the first freestanding playhouse outside of London. The unusual Flat Iron building also gets its own plaque, detailing its origins as the factory of the Prescot Watch Company. The cast plaques were created for the project by Leander Architectural who also create the iconic blue plaques for English Heritage. The Knowsley Crest, which appears on the plaques was a bespoke commission, initially hand-carved in wood by skilled craftsmen then hand painted after casting. The Prescot Townscape Heritage Initiative (THI) is a five-year project to repair, restore and re-use historic buildings and spaces in Prescot town centre. 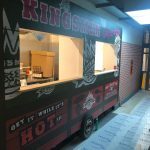 The THI is restoring shop fronts, historic architectural features, repairing historic buildings and improving open spaces including medieval Market Place. The initiative is funded by Heritage Lottery Fund, Knowsley Council and other partners. It will see about £4million invested into bringing Prescot’s heritage back to life.